The prevailing work culture suggests that staying in the office past midnight, sending emails late into the night, and pushing on into the early hours when a deadline is looming, mark you out as a dedicated employee, ripe for promotion and a decent pay rise. 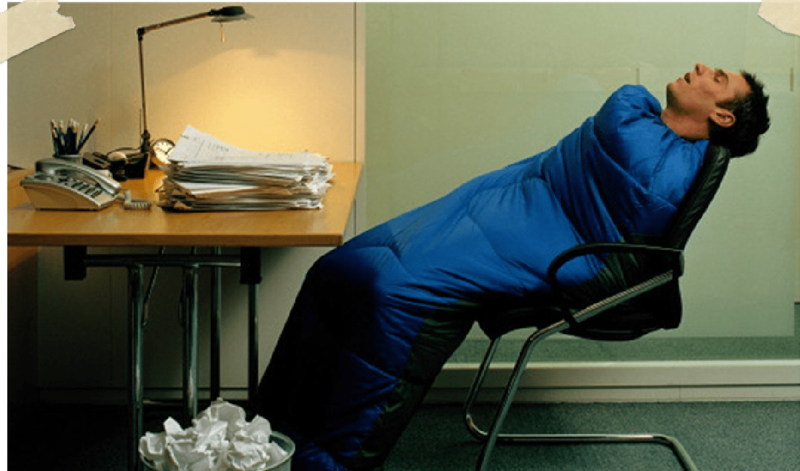 Why does insufficient sleep have such a negative impact on work? Sleep is one of the most important processes that happen in our bodies. Far from being the simple “absence of wakefulness”, sleep is a highly complex process which is vital for both physical and mental health and wellbeing. We now understand that sleep is vital for the brain’s ability to remove the toxic waste products that are a by-product of neuronal activity during the day, because the glymphatic system, which removes that waste, is 60% more productive when asleep than when awake. Make your bedroom a haven of calm, cool quietness. Then get ready to ask for that pay rise….because the only thing worth catching up on at night is sleep…. If you would like to discover how we can help your staff enhance wellbeing and performance through improved sleep, please visit our sleep and relaxation section.